MOLLYFLEX has been making mattresses since 1980. 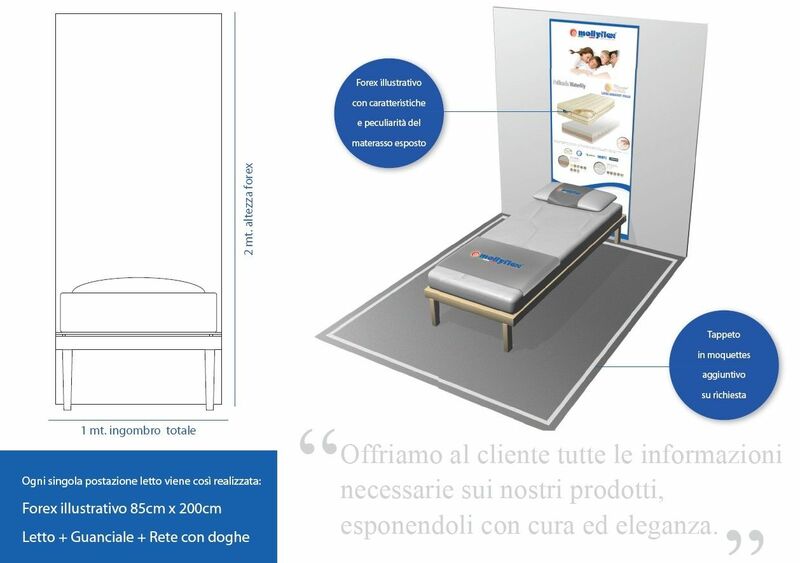 Thanks to the love and dedication of the Pennacchi family and thanks to the constant updating and search for new technologies in the mattress sector, MOLLYFLEX has for years been highly successful on both the Italian and foreign markets. 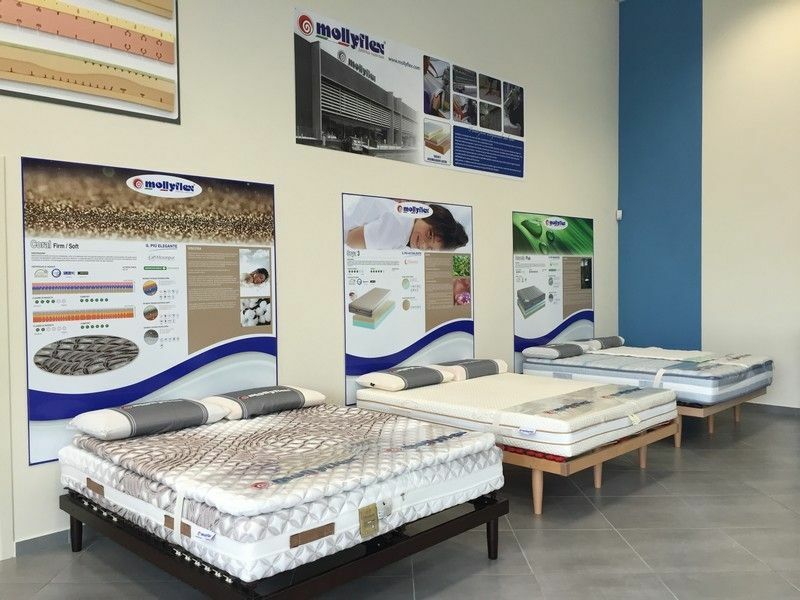 Regular updating and an ongoing quest for new solutions for the production of comfortable and quality mattresses are our strengths. Thanks to this, MOLLYFLEX is able to offer, day after day, to an increasingly greater number of customers and to a fast-growing international clientele, utmost comfort, quality and style, thanks to the production of innovative mattresses which meet quality standards and thus obtain relevant international certifications. 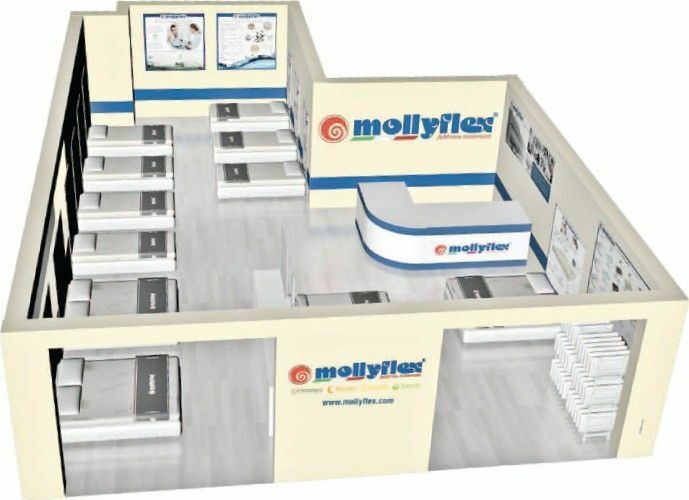 OPEN A MOLLYFLEX FRANCHISE STORE! 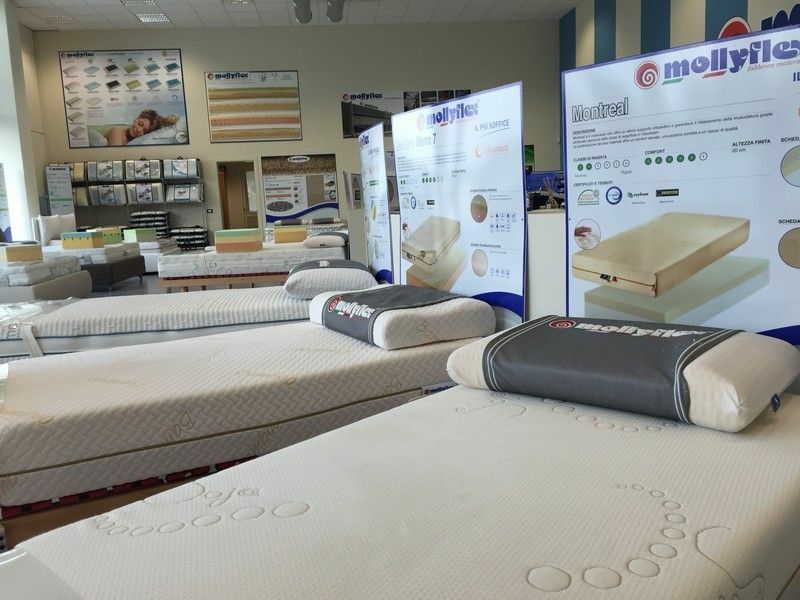 Mollyflex provides its affiliates with know-how going back over 30 years in the mattress and good sleep sector. Backed by this consolidated experience, it represents the ideal partner for opening monobrand stores dedicated to good sleep and well-being during the night hours. Always well aware of its communication image and transparency, in setting up its sales outlets, Mollyflex leaves nothing to chance, from wall painting to bed layout, choice of product displays and illustrative forex panels. Everything is coordinated down to the smallest detail by a trained marketing staff, well prepared in the field of distribution marketing, to provide a bright, orderly, and impacting image, in line with the values ​​of the Mollyflex brand, in Italy and the rest of the World. "Let us know the features of your store and we’ll design your display area!" WHAT DO YOU NEED TO OPEN YOUR FRANCHISE STORE? Store well positioned possibly onto provincial roads or commercial areas, taking advantage of natural exposure. Make sure you have a technical investment capacity for franchising. Ideal minimum floor space to display all Mollyflex products is 130 square metres (these dimensions may vary depending on the user basin). Salespersons with professional knowledge of products and company. 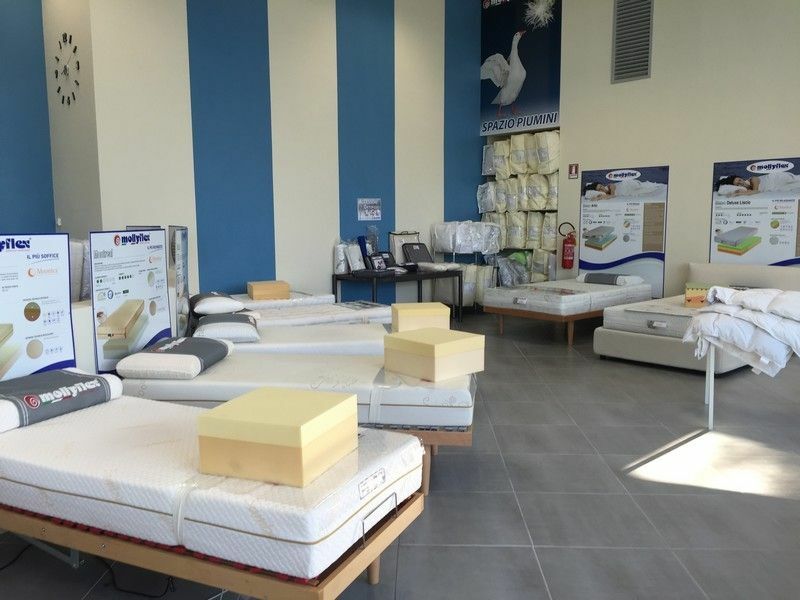 Checking the characteristics of your sales area and having a professional knowledge on good sleep products are of course very important factors for being successful in the Made in Italy mattress industry. Take advantage of this and write for more details about opening a Mollyflex sales outlet in your city! WHAT DOES MOLLYFLEX PROVIDE TO SALE POINTS? Mollyflex provides its franchise stores with all useful information and support for doing business in the best possible way. "We offer customers all necessary information on our products, displaying them with care and elegance".